Las Vegas. The first place that comes to our minds when the entertainment and business worlds are the point. 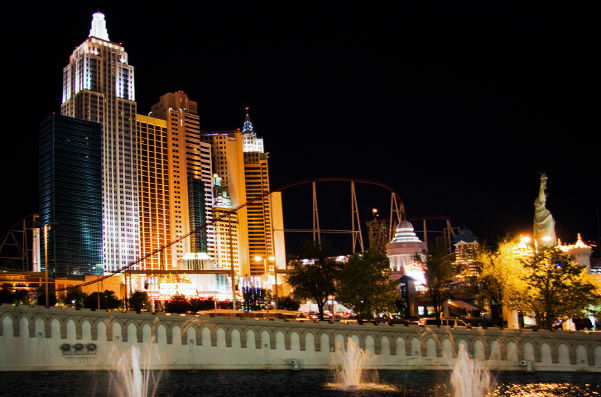 Las Vegas hosts numerous of business events as well with the entertainment shows every year, each of which create a tremendous impression in their fields. Since this city deserves all the credit for trade show business, we compiled a list of all trade shows that take place in Las Vegas each year. So no matter when you visit Las Vegas, you know that you’ll come up with at least one remarkable trade show. Let’s take a look at Las Vegas trade shows that are continuously notable and each year manage to make a great impression. The International CES (Consumer Electronics Show) is the ultimate place where the heart of consumer technologies beats. The event is annually held in Las Vegas drawing almost 200000 visitors from 81% of the countries in the world each year. World of Concrete is held annually since 1975 and the main focus of the event is commercial concrete and masonry construction. If this is your field of work and you are interested in growing your business, WOC is the perfect medium for you to have unlimited opportunities. Are you interested in hunting, shooting or guns? Dont look for a better event. NSSF Shot Show will offer you more than you imagine. The event is held annually in Las Vegas in January. Las Vegas Market is a biannual event that focuses on home decoration, gifts and furniture. Winter version is held in late January and Summer one is held in late July. For more information about the current Las Vegas Market event you can view the event page. AHR Expo is known as the world’s largest HVACR (Heating Ventilation Air Conditioning and Refrigeration) marketplace and each year more than 60000 professionals attend this sector-leading event. The construction industry is re-shaped in CONEXPO-CON/AGG that is held every three years in Las Vegas. Asphalt, aggregates, concrete, earthmoving, lifting, mining, utilities and more are among the main focus areas of the event. National Association of Broadcasters organize NAB Show every year to be the voice of both the radio and television broadcasters. Broadcast, Digital Media, Film, and Entertainment topics are widely covered in NAB Show Las Vegas. Known as North America’s largest packaging event, PACK Expo is the place where you can have the opportunity to know about the latest packaging innovations of top-tier suppliers. AAPEX is an annual event that represents the global aftermarket auto care industry. Each year the event appeals to almost 50000 buyers at a fixed venue Sands Expo & Convention Center. ASD Market Week is held twice per year in Las Vegas and is a significant retail merchandise event. No matter you are a small or large sized retailer, ASD Market Week has something for you. Interested in expanding your business? Be there to find new opportunities to profit from international manufacturers. JCK Las Vegas is considered as the most important jewelry event in North America. The event appeals to jewelry professionals and each year both local and international jewelry designers offer fascinating and inspiring collections. Las Vegas Convention Center hosts RECon The Global Retail Real Estate Convention every year. The event is highly prestigious among real estate professionals and the main focus is shopping center industry. Organized by Reed Exhibitions annually, The National Hardware Show (NHS) focuses on the entire home enhancement marketplace combining Lawn & Garden World, Homewares and New Product World. Global casino-entertainment industry’s foremost event Global Gaming Expo is held annually. With remarkable education sessions and prominent speakers each year, G2E is undoubtedly a must visit event! Spa, wellness and cosmetics professionals get together at International Esthetics Cosmetics & Spa (IECSC) which is held annually in four different places: Las Vegas, New York, Florida and Chicago. If you are in this sector and seeking new opportunities and want to learn about newest techniques emerging in the spa and wellness markets IECSC is your place. Live Design International (LDI) is held annually and brings together the live design professionals from live and broadcast venues such as concert halls, theatres or theme parks. The event dates back to 1988 and has already been a great success every year since then. If live design is what you’re into, don’t miss the next event. Are you a diver or a professional from diving, snorkeling or water sports? DEMA Show is a must visit event for you, then. The event appeals to diving masters, travel association professionals, diving training and certification agencies and more. Organized by Promotional Products Association, PPAI Expo is held annually in Las Vegas and appeals to more than 10000 international visitor every year. The International Surface Event (TISE) is known as the biggest North American event about floor surfacing, stone & tile industries. The event is held annually each year in Las Vegas bringing together more than 20000 sector professionals. If you are especially a wedding or a portrait photographer, WPPI Conference + Expo will definitely contribute you a lot. The event is considered as the premier industry event for photographers and filmmakers offering you amazing opportunities to learn new shooting styles, experiencing new products and growing your network. The Global Shop is an event for retail design, merchandising, shopper-facing technology & marketing. It has been held annually in Las Vegas offering the latest retail trends and new opportunities for retailers to improve their business. Night Club & Bar Show is known as the largest event of the nightlife industry and it is held annually in Las Vegas. Every year, more than 40000 people is drawn to this preeminent event which also offers its visitors big parties and matchless networking events. If the point is physical security industry, ISC West is the ultimate event in the U.S. From networked security products, IP security and access control to biometrics, video surveillance and CCTV, a large variety of security topics are covered. ISA International Sign Expo is a record breaking event that has been focusing on sign and graphics for nearly 70 years. The event is held annually but it takes places in Las Vegas biennially. The other venue for ISA International Sign Expo is Orlando, Florida. Each year, more than 20000 sign and graphics professionals come together at this event. HD Expo brings together the hospitality professionals each year in Las Vegas offering them a great atmosphere for sharing ideas and networking. Hospitality Design Exhibition is open to designers, architects, hotel owners and purchasing groups from all around the world. Licensing Expo has been the meeting place for the international licensing industry for 37 years. More than 5000 corporate brands make new connections with manufacturers or retailers at Licensing Expo and each year new products come to life thanks to these deals made in this preeminent event. International Vision Expo and Conference are for the optical professionals who are seeking new opportunities to make their buying decisions and get to know about the latest innovations in the optical industry. The event is held annually in Las Vegas.